In early April, 2018, Chris Moriarity was struck with inspiration for a project that would help with ocean pollution and also make prosthetic limbs. Although he and his wife Laura believed they could tackle both issues and come up with one solution, they had no idea how to proceed. 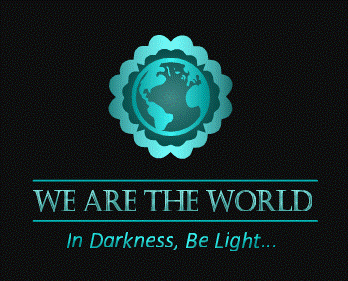 Just two weeks later, they had their Million Waves Project (MWP) up and running on Earth Day. This project takes ocean plastic and recycles it into prosthetics. By July, they had donated 18 limbs to disabled children. At first, this husband and wife team cut the plastic by hand, then fed it into a paper shredder and, finally, a 3D-printer. Later, they used an app to connect with people who needed prosthetics so they could design the item to people’s specific measurements. The cheap materials meant each prosthetic cost a mere $45, which the Moriaritys funded through sponsorships, donations, and keychain sales on the charity’s website. Every year, billions of pounds of plastic trash litter the oceans. Experts estimate that, by 2050, more plastic will occupy the oceans than all the fish combined. Bit by bit, folks are working on the problem. Like the Moriartys, some of them help thousands, maybe even millions, of people while striving to clean up the oceans. Here’s another jaw-dropping statistic: some 40 million people in developing countries need prosthetic limbs but don’t have a way to get them. Within a week of conceptualizing his new project, Moriarity changed that. He established a charity and began forging connections with organizations that helped turn his idea into a reality. By the beginning of this year, the nonprofit printed around 1,000 prosthetics every week. “We are just getting started,” said Moriarity. “This is a world-changing operation…for as little as $45 we can provide a limb for someone that will dramatically change their life.”2 He shared stories of people who were able to participate in work, and play sports with friends. 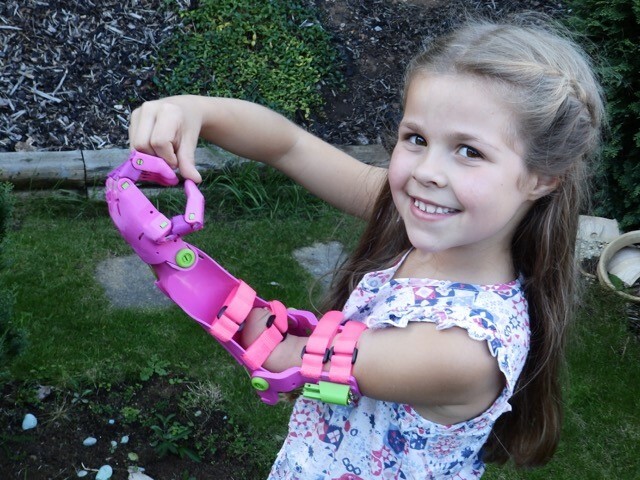 Image borrowed from Inventor Makes ‘Cool’ Prosthetic Limbs For Kids In His Garden Shed For Free. A slightly different subject matter, it’s a wonderful article. Be sure to check it out. Those who sponsor a 3D-printed prosthetic limb by donating $45 are gifted with a MWP keychain. Those who give additional monies help fund research and the development of 3-D printed dental prosthetics and wheelchairs. The billions of pounds of plastic waste fouling the oceans may seem impossible to clean up, just as the millions of people who desperately need but can’t afford prosthetic devices may seem like an impossible number to help. But inch by inch, organizations such as MWP move forward on solving both problems simultaneously. Chris says we should never underestimate what a small group of motivated people will do. He insists he and his wife have been shown the best side of humanity. millionwavesproject.com. N.p., n.d. Web. 23 Mar. 2019.
prweb.com. N.p., n.d. Web. 24 Mar. 2019.
business.illinois.edu. N.p., n.d. Web. 23 Mar. 2019. All too often, the negativity and hatred expressed in social media and the news assault our senses. At the end of each month, we bloggers are given an opportunity to post good news, offering an antidote to bad news in our feeds. The talented co-hosts for this month are: Shilpa Garg, Sylvia McGrath, Belinda WitzenHausen, Dan Antion, andDamyanti Biswas. Please check out the blogs and say hello. 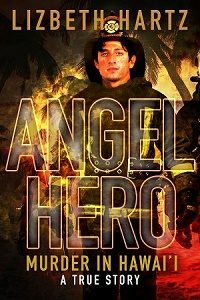 Lizbeth Hartz is the author of the true crime, true love memoir Angel Hero, Murder in Hawaii, A True Story. Buy it on Amazon – Kindle Unlimited subscribers read free! Sign up to read the 1st chapter free. Thanks for writing, Marja! Yes, isn’t this wonderful? And I just visited your post about the 95 year old man at https://dutchcorner.blogspot.com/, so wonderful I shared it. Projects like this excite me down to my bones – so clever and serving multiple purposes. I’m always inspired by this sort of thinking. I think it encourages us all to think bigger, think cross purpose, and just commit. 3D printing is awesome and using it this way is wonderful. Thanks for sharing this story. They excite me down to my bones, too, Deborah! How great to help some of the millions of people who need prosthetics and recycle plastic at the same time. You’re so welcome, and I loved the story you posted, too, about the young Swedish environmental activist. Thank you for writing, Shilpa. I thought so, too; what a creative and humane solution to too much plastic and too few prosthetics. I’m happy to participate in this special edition of #WATWB. Aloha! Thank you for commenting, Anouradha. I agree, a win win situation. It touched my heart to see pictures of the children being fitted with these inexpensive prosthetics, and to read their stories. And I LOVE your Project Why post; thanks for sharing this amazing and inspirational story. You’re welcome, Susan. Thanks for commenting. That statement of Chris’ impacted me greatly too; made me think of what participating in #WATWB is also doing for me, changing my perspective, giving me more hope for the planet and humanity and my own state of mind, helping me focus on the positive and not so much on the negative. Hi Lizbeth – the #WAWTB shows us so much humbleness … Chris and Laura have created an astounding idea … actually two – of course! Amazing that they had the concept to use the ocean plastic to make prosthetics … it’s the kind of story that will grap someone’s attention who will have the wherewithall to spread their ideas – so that many can obtain a prosthetic. Wonderful re working of the ‘butterfly concept’ – into the ‘millionwave’ enterprise. Incredible – thank you so much for bringing it to our attention. You’re welcome and thanks for commenting, Hillary. I couldn’t agree with you more and I’d love it if even more people jumped on this bandwagon. And thanks for mentioning the butterfly effect.. I looked it up, it reminded me of the 100th monkey story…I like how this young couple called it the “millionwave” enterprise. Well it appeared when I processed the 2nd comment … so it’s ok … delete these two please!